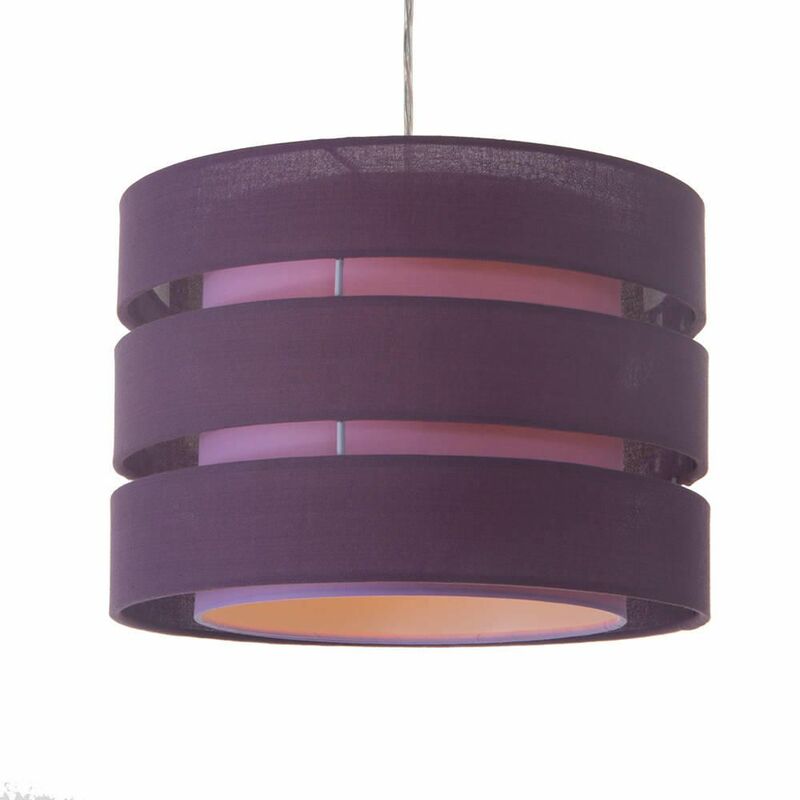 If you want to add a splash of colour to your home this Mimis easy to fit light shade is perfect for the job. 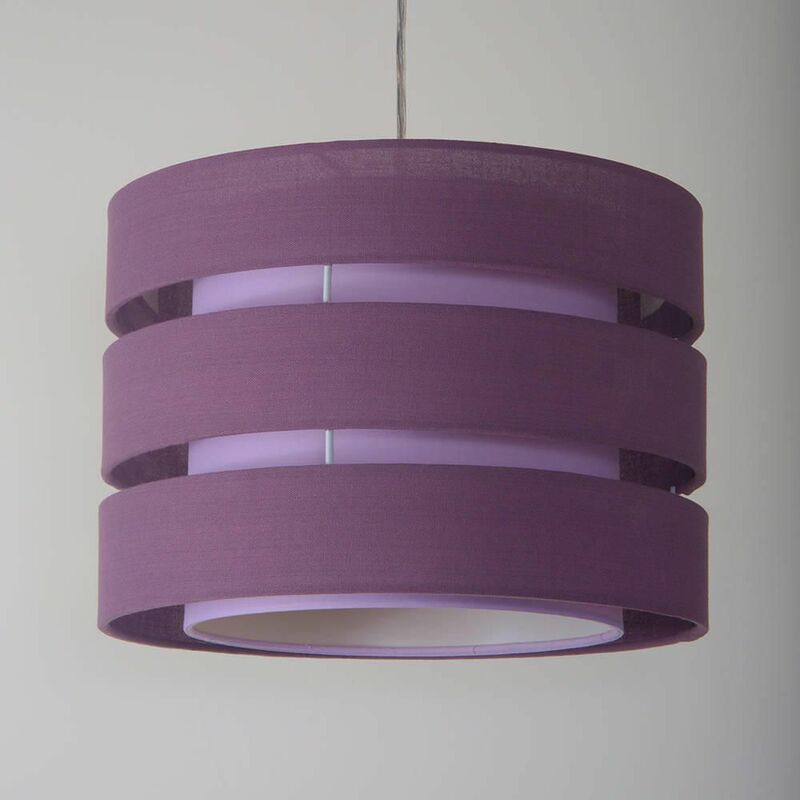 This retro inspired shade features a pastel lilac fabric shade surrounded by three darker plum outer fabric rings. 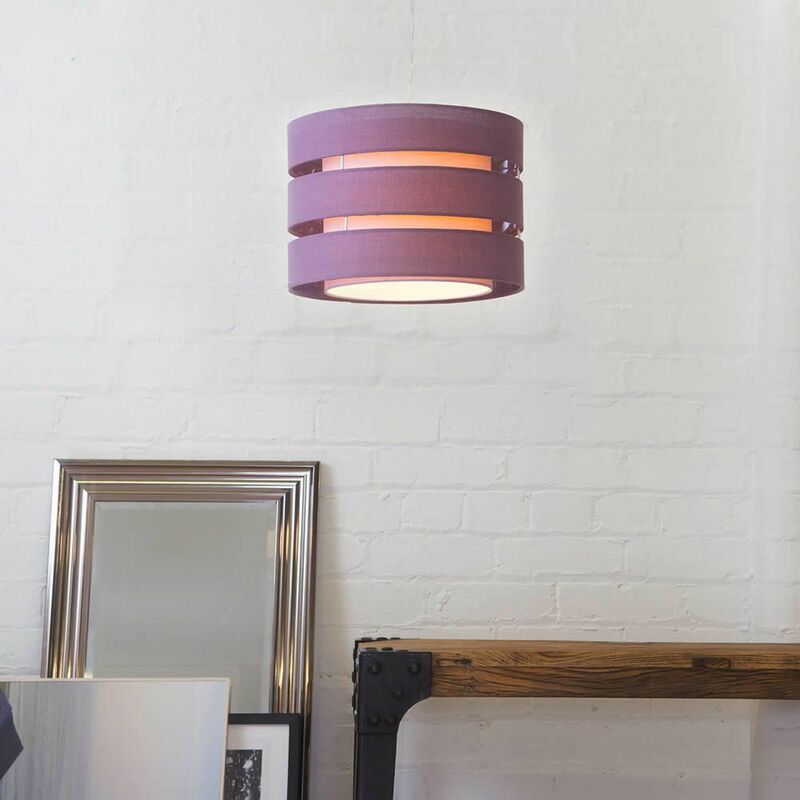 This characteristic light will make a great focal point of any room. 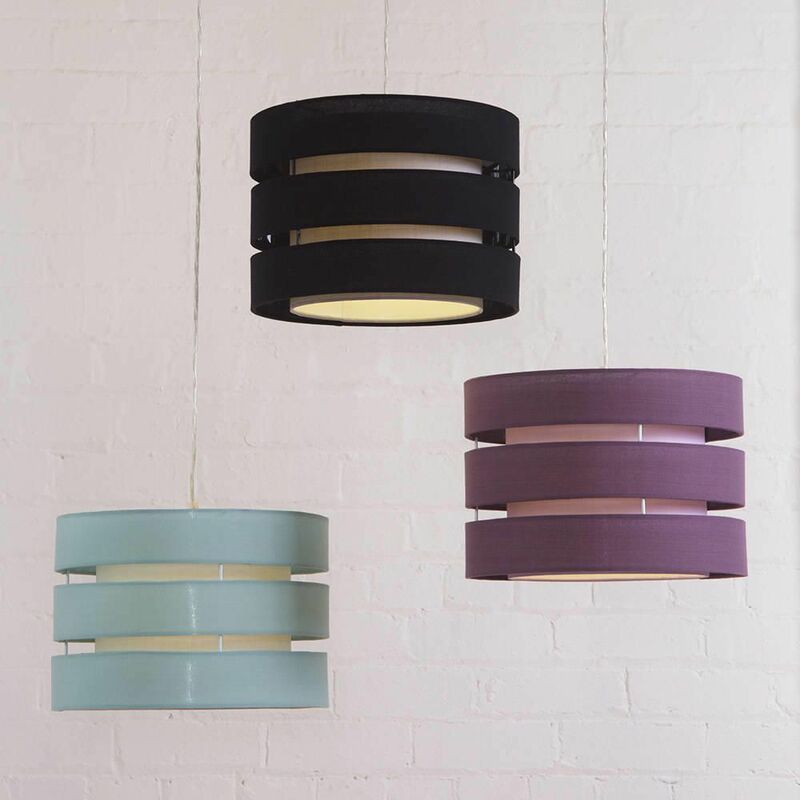 With a reducer ring included, this ceiling shade will fit easily onto any sized existing pendant; No electrician is required. 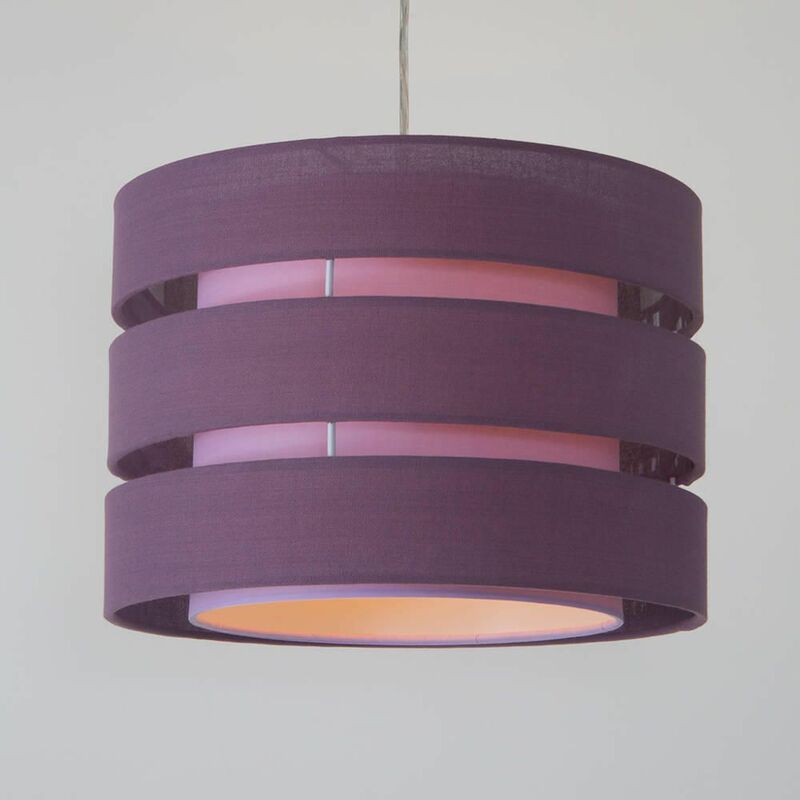 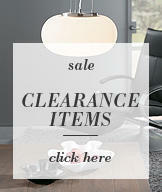 This beautiful lamp shade is also available in duck egg and black.